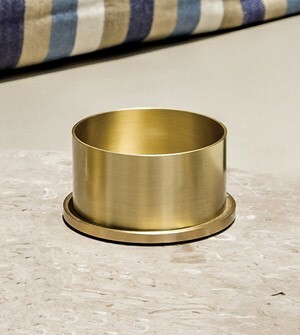 Metal ashtrays for tables, internal and external use for hotels. Apir's product range encompasses all furnishing elements for hotel facilities, bars, restaurants, museums or conference centre requirements. The metal ashtray is suitable for the collection of ash, tobacco, cigar and cigarette butts. Apir's ashtrays are made of metal and equipped with a practical extractable tray for daily cleaning . Where needed, a bag of sand is included in the consignment for fire extinction and odour containment. For public spaces, where smoking is forbidden, Apir proposes a selection of ash trays for external use to be positioned at the entrance of your facility. All these ashtrays are customisable with several finishings and colours to suit the style of any accommodation facility.